In these times, the programmer knows his or her programming language more or less by interactively finding out what it can do. 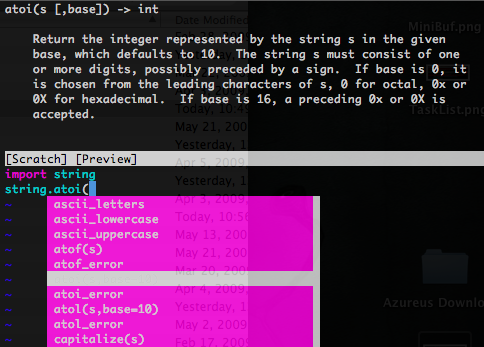 Therefore code completion(sometimes also called IntelliSense*ugh*) is a major feature. I have heard many people saying that this is where VIM fails – but luckily they are plain wrong(; In V7, VIM introduced omni completion – given it is configured to recognize Python (if not, this feature is only a plugin away) Ctrl+x Ctrl+o opens a drop down dialog like any other IDE – even the whole Pydoc gets to be displayed in a split window. First of all, make sure you have VIM version 7.x installed, compiled with Python support. 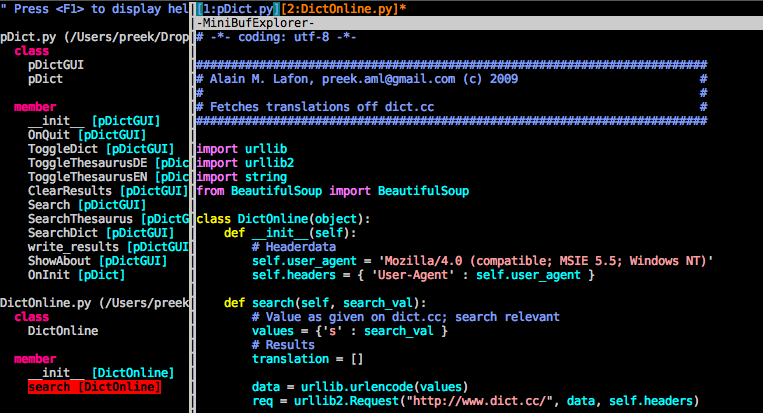 To check for the second, enter :python print “hello, world” into VIM. If you see an error message like “E319: Sorry, the command is not available in this version”, then it’s time to get a new one. If you’re on a Mac, just install MacVIM(there’s also a binary for the console in /Applications/MacVim.app/Contents/MacOS/). If you’re on Windows, GVIM will suffice(for versions != 2.4 search for the right plugin). 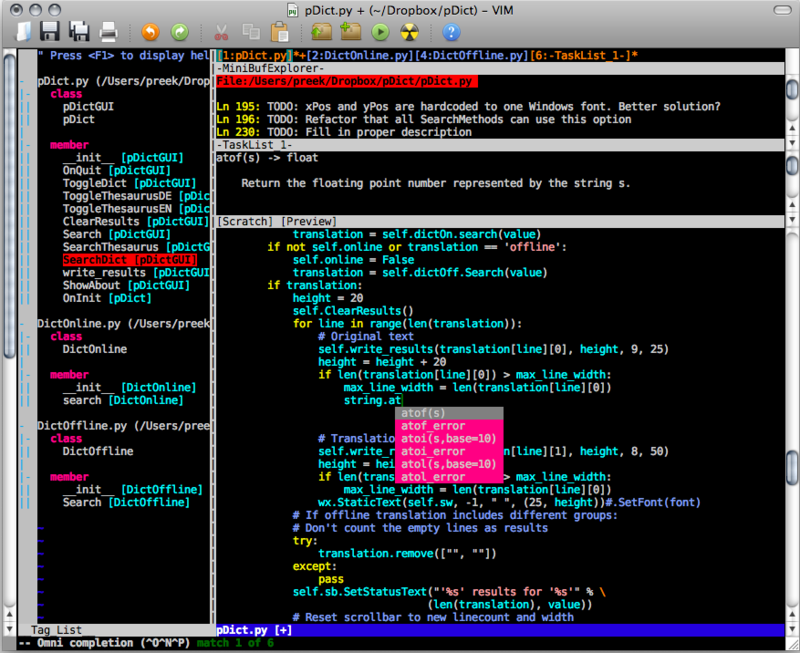 If you’re on any other machine, you will probably know how to compile your very own VIM with Python support. VimPDB is a plugin, as well. Install as before and see the readme for documentation. If it doesn’t work out of the box, watch for the known issues. If it doesn’t work then, you’ll need this plugin.